Who was Spring-heeled Jack, the agile bogeyman that terrorised Sheffield and escaped pursuers by making gigantic leaps? What were the eerie sounds in the sky known as the Gabriel Hounds? And why did people believe the ghost of a ‘white lady’ had caused the death of a woman? True stories of these and other supernatural visitors that frightened and fascinated the people of Sheffield during the reign of Queen Victoria are revealed in my new illustrated book Scared to Death, published by ACMRetro in October. Scared to Death draws upon original 19th century newspaper accounts of hauntings, originally published by the Sheffield Daily Telegraph and Sheffield & Rotherham Independent. The stories are supplemented with images sourced from Sheffield City Libraries and Archives. I began to collect material for this book decades ago working as a journalist for the Sheffield Star, but the arrival of the British Library’s online archive of 19th century newspapers allowed me to complete the project. Accounts of first hand experiences are woven together with items of folklore and superstition to produce a fascinating snapshot of the supernatural beliefs that circulated in Victorian society. The book will be launched during the 22nd Off the Shelf Festival of Words, organised by Sheffield City Council and sponsored by city’s two universities and The Star newspaper. On Halloween night (Thursday 31 October) I will be reading stories from Scared to Death in the beautiful and ornate surroundings of the 18th century Upper Chapel, on Surrey Street in the heart of the city centre (tickets are available via the OTS website here). The illustrated talk begins at 7.30 and includes contributions from story-teller Simon Heywood and author Ann Beedham, who designed and sourced images used in the book. 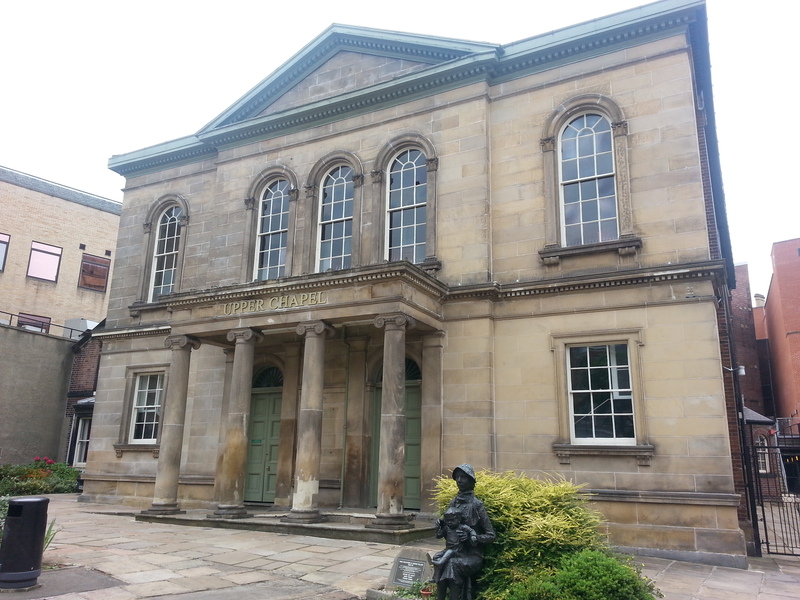 The 18th century Upper Chapel on Surrey Street, Sheffield. Venue for my talk on Victorian ghost stories. 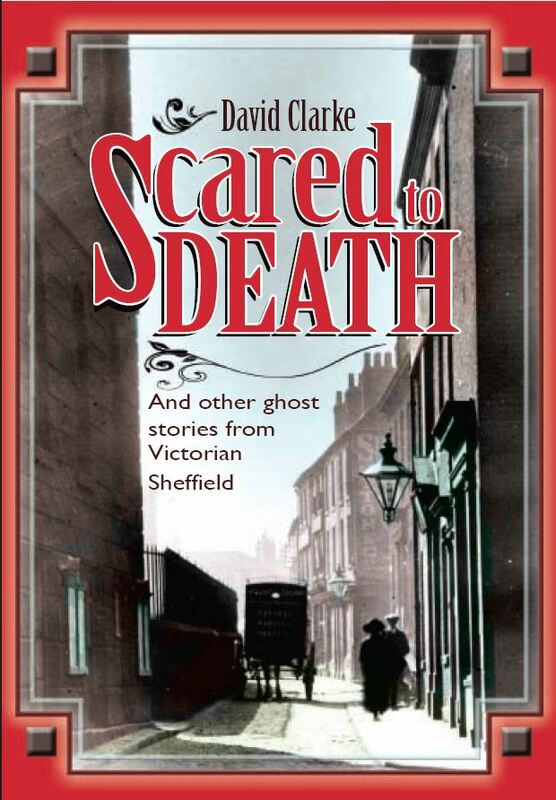 In his preface to Scared to Death, Alan Murdie – chair of The Ghost Club – writes: ‘...in this book the distinguished folklorist and historian David Clarke reveals the rich ghostly heritage of Sheffield. He has done exactly what every good researcher should do, going back to the earliest sources‘. Professor Vanessa Toulmin, of the University of Sheffield’s Fairground Archive adds: ‘Dr David Clarke’s mastery of the newspaper archives is apparent in how the beautifully woven and evocative use of contemporary accounts brings the past to life with spine-chilling effect‘. Advance tickets (£5/£4 concessions) are available from Sheffield Theatres Box Office on 0114 2789789 or Sheffield Arena Ticket Shop on 0114 2565567. This entry was posted in Uncategorized and tagged 19th century newspaper archive, ACMRetro, Alan Murdie, Ann Beedham, British Library, Campo Lane ghost, Devil's Footprints, Gabriel Hounds, ghost stories, ghosts, Halloween, Off the Shelf literature festival, Professor Vanessa Toulmin, scared to death, Sheffield, Sheffield & Rotherham Independent, Sheffield City Library and Archives, Sheffield Daily Telegraph, Sheffield Flood disaster, Sheffield Star, Simon Heywood, spring-heeled jack, The Ghost Club, University of Sheffield, Upper Chapel, Victoriana, white lady ghost. Bookmark the permalink.